Who is Scabby The Rat? Indeed, from Scabby, there spun off other variants such as “Fat Cat” and “Greedy Pig,” pictures of which you can find here. 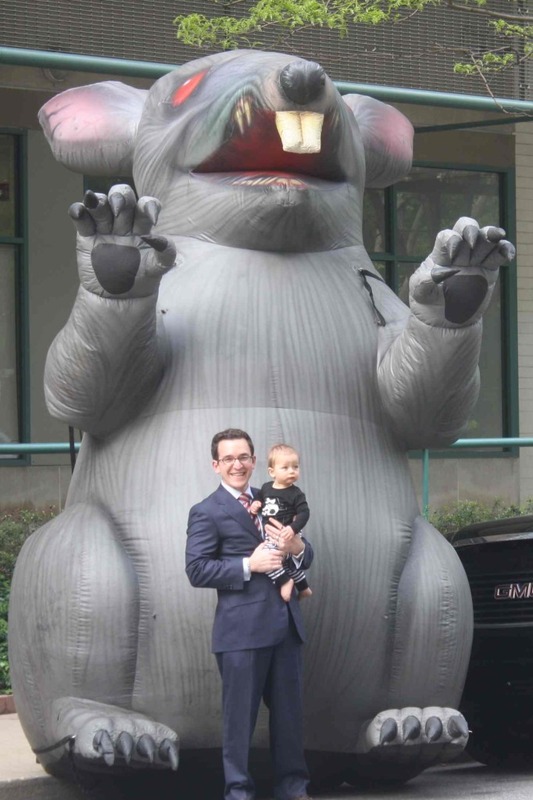 Here, in Philadelphia, IBEW Local 98 took it one step further with the Ratmobile. But, I digress. We’re here to talk about Scabby’s possible demise. Hassan A. Kanu writing here at Bloomberg Law broke the news. Here’s a snippet. Can they really do this to Scabby? My love-hate relationship with Scabby. As a representative of management, I know that I’m supposed to be #TeamDeathToScabby.But, I’ll admit it. I get a kick out of seeing Scabby in the wild. I snap photos and, yes, I pose for pictures too. So, if Scabby goes the way of the dodo bird, a part of me is going to miss that silly rat. Please don’t pull my management card.